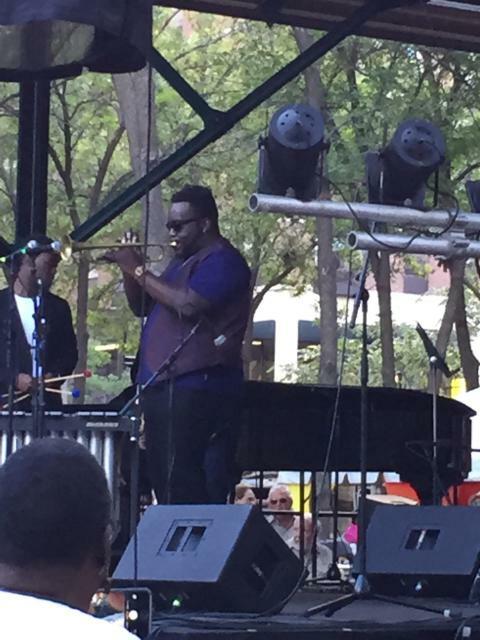 It’s been three weeks now, and for music lovers living in the Twin Cities, some of us have done nothing but bask in the glow of an embarrassment of musical riches at the 2015 Twin Cities Jazz Festival. Lively bands, fans, and a lot of fun rounded out the itinerary. The scenic views may have changed day-to-day, but high-level excitement of the festival-goers never waned. This year’s festival saw an estimated 35,000 total number of attendees who enjoyed a galore of festivities. First of all, on Friday, June 26, the newly formed band consisting of saxophonist Chris Potter, bassist Dave Holland, guitarist Lionel Loueke and drummer Eric Harland — who only performed together a handful of times — played at Mears Park like the seasoned veterans they are. Many of the songs, “Aziza,” “Veil of Tears,” “Summer 15,” among others, were written by individual band members. The group interplay, the relaxed vibe, and warm smiles made the experience seem as if the audience was eavesdropping on a successful studio recording session in progress. That’s how smooth it was. It didn’t take long for me to realize that I was witnessing a band with the potential for great longevity. 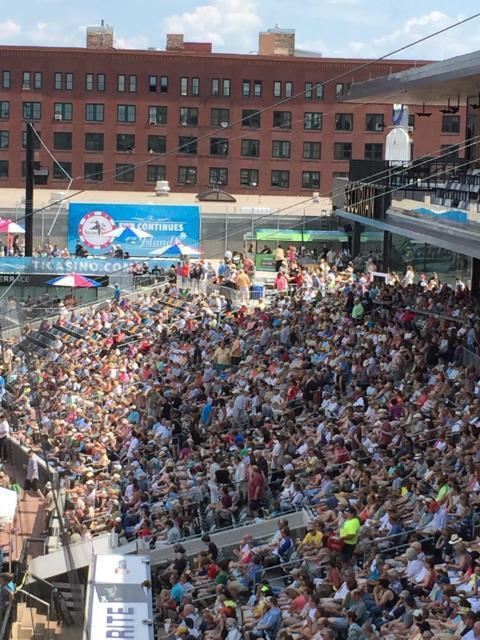 From Mears Park to the ballpark, the view shifted as fans packed CHS Field for a free concert by singer/songwriter, pianist/guitarist, Dr. John and the Nite Trippers, Saturday, June 27. The Jack Brass Band opened with plenty of New Orleans groove and covers of Bobby Brown, R. Kelly, and more. By the time the 74-year-old Dr. John made it to the stage, the crowd of nearly 7,500 were more than ready to party. He performed a full 90-minute set — the first concert held at the ballpark. New Orleans master drummer Herlin Riley was in attendance, so you know it was tight. Dr. John performed “What a Wonderful World” from the Louis Armstrong tribute album, Ske-Dat-De-Dat: The Spirit of Satch (Concord). New Orleans trumpeter, vocalist/multi-instrumentalist Nicholas Payton plays trumpet on that particular track from that album but didn’t join Dr. John at the ballpark that afternoon. But later Payton was the special guest in drummer and festival Artistic Director Francisco Mela’s Crash Trio band that included pianist Leo Genovese and bassist Gerald Cannon at Mears Park. KBEM Jazz88.5 FM broadcasted live from the festival, and I can imagine many radio listeners turned up the volume whenever Payton stepped up to the mic — especially during his compelling solos. For his part, Mela presented some endlessly entertaining compositions, and delivered an authoritative performance, I believe the late-great drummer Elvin Jones would have fully endorsed. The extraordinary thing about this year’s festival is that festival-goers and listeners in radio land were able to preview good music by superior, high-level musicians who will go on to record the music presented this summer, and then everyone will have the chance to enjoy it. Cecilè McLorin Salvant at the Dakota. 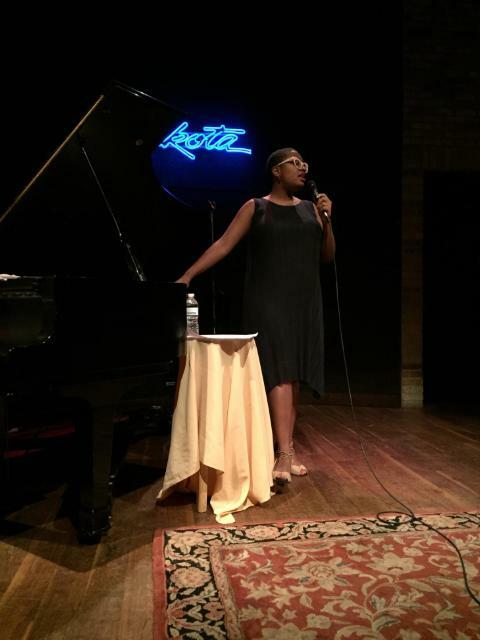 With preview being the operative word, just before the TC JazzFest, at the Dakota Jazz Club, music lovers were treated to some new music from singer-songwriter Cecilè McLorin Salvant, who returned to the venue on June 23-24 for a rare duo performance with the brilliant pianist Aaron Goldberg. McLorin Salvant new Mack Avenue CD For One to Love, will be released in September. 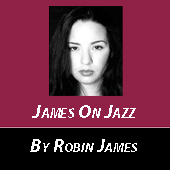 She previewed “Fog,” which appears on the new album, but also sang songs by Archie Shepp, Bessie Smith, Bill Evans, Betty Carter, and more. “Never Will I Marry,” was a definite crowd-pleaser and a standout tune of the night. I’m familiar with the version by Nancy Wilson and Cannonball Adderley. Salvant’s version was totally different and quite mesmerizing. Equally enthralling was her rendition of “Down Here Below,” a song sung by the late great Abbey Lincoln, one of Salvant’s favorites. Lincoln wrote the powerful song lyrics. I may not fully grasp the work of art that Salvant has created, but that is merely because I’m busy getting lost in it. And I’m fine with that. mentioned above, it’s the legendary saxophonist/flutist Charles Lloyd. 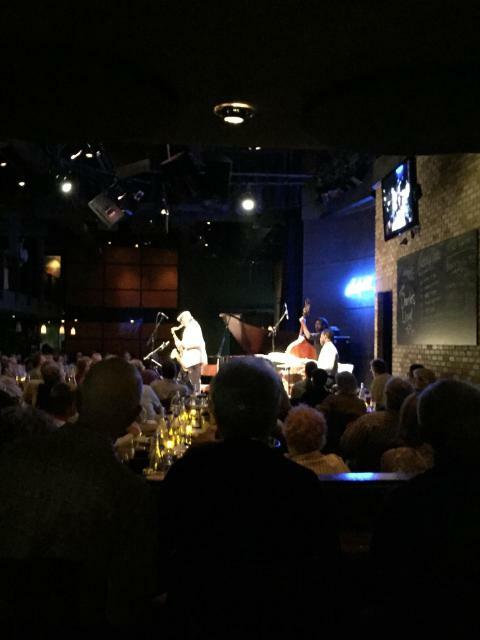 The recently acknowledged 2015 NEA Jazz Master returned to the Dakota for a two-night stint on June 30-July 1. I witnessed the first night of music during the second set. Drummer Kendrick Scott, bassist Joe Sanders, and pianist Gerald Clayton joined Lloyd this time around. Upfront Lloyd said Dakota co-owner Lowell Pickett was a blessing. Also, during his opening remarks Lloyd said, “There’s a lot going on out there that I’m not signing up for,” perhaps referencing these turbulent times in which we live. Then Lloyd and his band of young and exceptionally gifted musicians proceeded to stretch out and showed the audience what a group full of wild creative intensity and laser focus looks like. The same could be said of all the bands who visited the Twin Cities over the course of the last three weeks. And that scenario, my friends, is a true blessing.